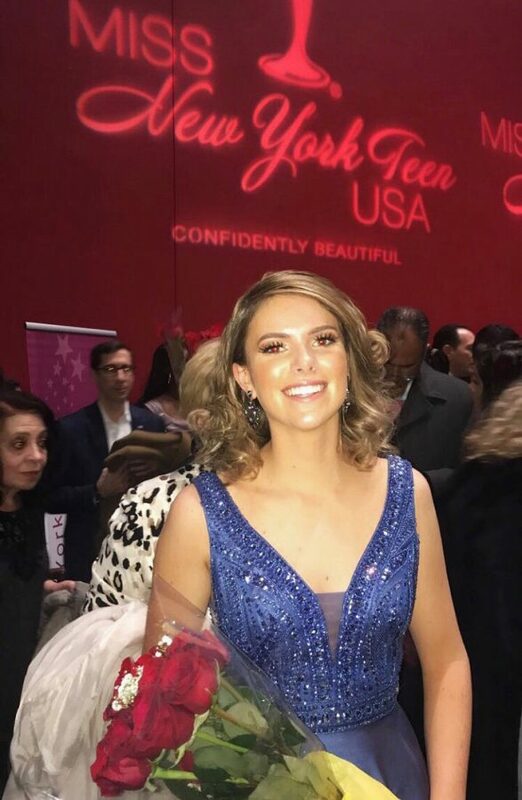 Wearing “Westhampton Beach Teen” sash, junior Sophie Waszkelewicz represented WHB in the Miss Teen New York Pageant this past weekend in Westchester. A very high-profile competition, girls from all over the state come to compete. This pageant eventually leads to the Miss Teen USA Pageant, ages 14-18. Sophie decided to apply to enter this event after seeing an add for it online. She then had to send in headshots and do a phone interview to see if she was a serious contestant. After a few days of waiting, Sophie received the news that she had been accepted and would be joining the other 120 girls on stage. Three days were needed to complete this event, starting Friday and ending Sunday. Friday were the interviews, Saturday were preliminaries and Sunday were the top fifteen finalists. “Some of the girls were super competitive. That kind of scared me but there were other girls that were more relaxed like I was,” says Sophie. After day one of the weekend, Sophie said, “It was nerve racking being on stage alone trying to look and do my best.” As a viewer of the pageant, I can attest Sophie appeared to be relaxed and looked like a natural walking across the stage.